Many people have heard of “Fulbright Scholars” or the “Fulbright Foundation,” but most people have little or no idea who is involved, why it exists, or how the Fulbright Program works. Since its inception in 1946, the program has had over 300,000 participants; Pulitzer Prizes have been won by 78 Fulbright alumni and Nobel Prizes by 43 alumni. Established to promote understanding between the people of other countries and the United States by exchanging persons, knowledge and skills, the Fulbright Program is one of the most prestigious award programs in the world. The State Department of the United States sponsors the Fulbright Program through its Bureau of Educational and Cultural Affairs (ECA). Senator J. William Fulbright introduced a bill in Congress in 1945, to use surplus war goods to “fund the promotion of international good will through the exchange of students in the fields of education, culture, and science.” President Truman signed the bill into law in August of 1946, and the Fulbright Program was created. It provides thousands of comprehensive grants to scholars, teachers, students and professionals. U.S. citizens can go to one of 150 countries; Fulbright scholarships also provide funding for non-U.S. citizens to come to the United States. The merit-based awards provide round-trip transportation, room and board, health insurance, tuition, book and research allowances. They enable grantees to pursue advanced research, graduate studies and teaching at all levels in the participating country of their choice. Fields of study include the fine arts, humanities, social sciences, mathematics, natural and physical sciences, and professional and applied sciences. Recent graduates at the bachelor’s degree level, master’s and doctoral candidates, young professionals such as writers, creative and performing artists, journalists, and those in business, law and other professional fields are encouraged to apply. The grant lengths and dates vary by country. 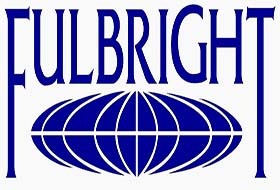 Candidates for the annual Fulbright grants must have a high-quality, feasible grant proposal, academic or professional achievement, demonstrated leadership potential, language preparation and adaptability. The six main categories include a Student Program, Scholar Program, and Teacher Exchange Program for U.S. citizens, as well as the same for non-U.S. citizens. In each of 50 countries, a bi-national Fulbright Commission administers the program; oversight is provided in other countries by the Public Affairs Section of the local U.S. Embassy. The grants are funded by yearly appropriations from Congress and donations from foundations, corporations, partner governments and host institutions around the world. Fulbright Program participants are expected to involve themselves in the host community and engage in cultural exchange while carrying out their project. They must work, live and learn from the people of the host country, interacting in an atmosphere of integrity and openness to promote mutual understanding. When grantees return home, they are expected to reach out to their communities and teach others what they have learned. The experience is reinforced and continued for a lifetime by networking and participation in activities of the Fulbright Association, a non-profit membership organization of alumni and friends of the Fulbright Program.